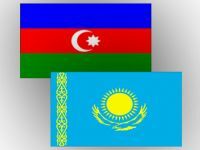 Azerbaijan and Kazakhstan reached an agreement for construction of the underwater segment of the Trans-Eurasian Information Super Highway (TASIM), Azerbaijan’s Communications and High Technologies Minister Ali Abbasov told reporters Jan. 17. He said a contract with Kazakhstan is expected to be signed in the first half-year, and the construction work can begin by late 2015. A second alternative northern transit line is planned to run through Russia, Ukraine and Poland. Earlier, a source in the telecom market of Azerbaijan told Trend that Azerbaijan plans to boost talks with Kazakhstan for construction of the underwater segment of TASIM. The active phase of the talks between the two countries is expected to start in 2015. The parties will discuss the issues of accelerating the TASIM Caspian segment construction, including the management, control systems and other technical aspects of the project. TASIM construction has been planned to start in 2016. TASIM project currently involves the countries such as Russia (represented by Rostelecom), Kazakhstan (KazTransCom), Turkey (TurkTelecom), China (China Telecom). Azerbaijan is represented by the Center of International Relations and Calculations of the Ministry of Communications and High-Technologies. TASIM project aims to reduce poverty, accelerate economic growth, and can also play a leading role in the development of the region.